If you thought August was busy, September is not far behind. On the first 2 days of September, there was already a Scholastic and Grolier Warehouse sale in C. Raymundo Ave., Pasig City which I was disappointed I missed. Beginning this weekend, there is at least 1 Saturday activity worth checking out! This afternoon, September 4 is the Trunk Show Launch Party of Eden. According to Buding, the Infinitude has been selling fast and only limited colors are left due to pre-orders. Shopping is only from 3pm-7pm and they will be accepting cash or checks. I hope Naima will be better by then so I can go to the Trunk Show with Charmaine and Jen. On September 11, there will be 4 events! L.A.T.C.H. will be having its bi-monthly breastfeeding seminar for pregnant moms. This will be at The Medical City from 9-12nn. This is a free class on a first come, first serve basis. Classes will be at the 4th Floor, Conference Room 1 - take the entrance beside Starbucks. 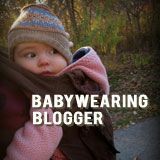 Topics include Breastfeeding Benefits, What to Expect in the First Week, Positioning and Latching, Back to Work and Busting Breastfeeding Myths. For inquiries, you can call TMC at 635-6789, loc. 6444. Meanwhile, if you are already a breastfeeding mom and have some questions to raise, you can choose to attend the La Leche League Meeting at 11am at the Podium Mall. Last time, the meeting was held in the Atrium at the 2nd floor. I'm not sure if this time, it will be inside Baby & Company at the 3rd level. Topic is also not yet confirmed but the meeting is quite informal and this is the chance for breastfeeding moms to raise their questions and concerns. 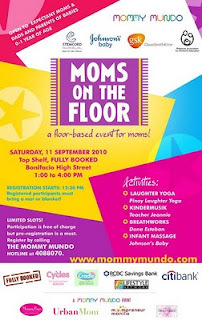 For moms with young babies, you can check out Mommy Mundo's Moms on the Floor. Activities include yoga, KinderMusik, Breathworks and Infant Massage. The activity will be held from 1-4pm at the Top Shelf, Fully Booked, Bonifacio High Street. This means you still have time to switch venues and catch talks and a fashion show at the St. Luke's Global City. 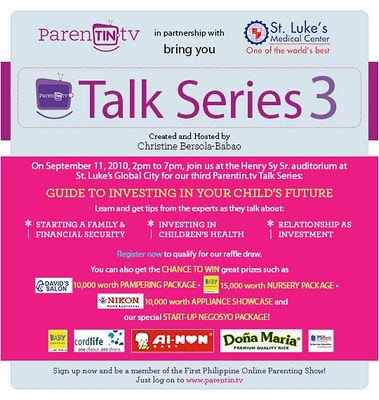 From 2pm-7pm on September 11, Tintin Bersola-Babao's Parentin.TV will be holding its 3rd talk series. There will be a variety of topics, including a talk on breastfeeding to be given by Ms. Nona Andaya-Castillo, IBCLC. 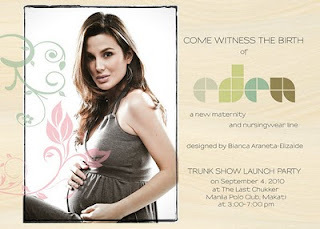 Plus there will be a fashion show of maternity and nursing wear launched by several brands! Participating brands include Mama.Baby.Love, Mamaway, Mama Au Lait and Mothers En Vogue by Au Lait Maternity and Nursing. These mompreneurs will also be setting up booths outside the auditorium from 10am-7pm. More shopping! Will be blogging separately about this event next week. There will also be 4 interesting events on September 18. 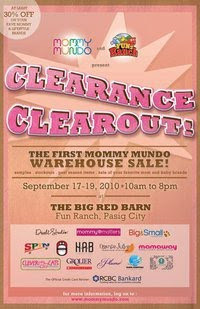 Mommy Mundo will be holding its first Clearance Clearout Sale with items to be sold at a minimum of 30% off! 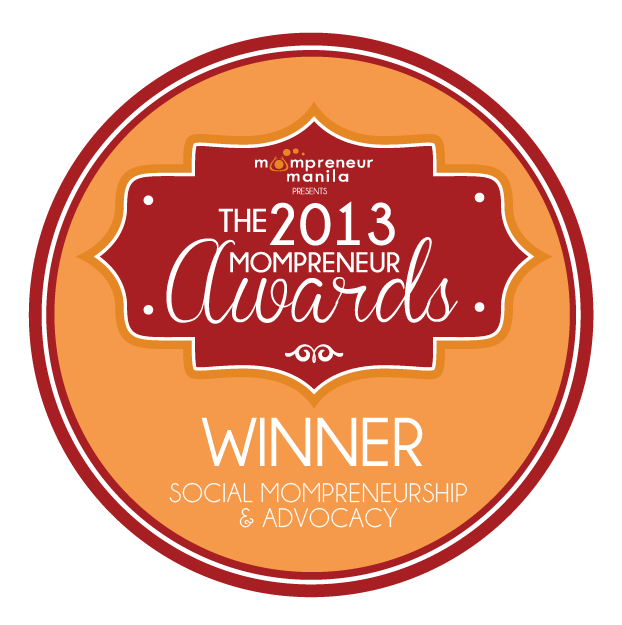 Brands include Dwell Studio, Mamaway, Mommy Matters plus more! This is a perfect start to completing your Christmas 2010 list. 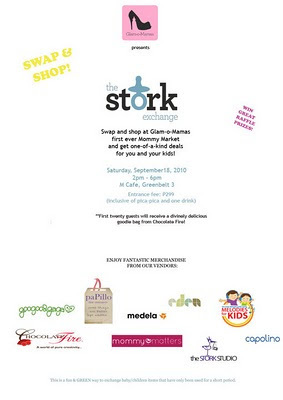 If exchanging used items is your thing, then check out The Stork Exchange organized by Amanda Griffin-Jacob over at the M Cafe in Greenbelt 3. There is an entrance fee of P299 pesos which comes with a drink but yaya and kids are free! Check out details in their Facebook page. If books are your thing, don't forget to head to SMX Convention Center for the 31st Manila International Book Fair. This event will be from September 15-19, 2010 from 10am-8pm, allowing you to visit this event after you have checked out the other Saturday happenings. There will also be a La Leche League Meeting on September 18, Saturday for the Makati Group - Rustan's Makati at 1030am. Don't forget to register by emailing La Leche League Leader Abbie Yabot. I love attending these meetings and talking to like-minded moms. Babies, dads, grandparents and yayas are welcome! Finally, on September 25, 2010, there will be a Breastfeeding 101 class by Abbie's The Breastfeeding Club. Topic is "Beginning Breastfeeding" so if you miss the LATCH seminar on September 11, this will be the perfect alternative. The class will be held at The Medela House. Call for details and to register. If you have more September activities, I'd be happy to add them to this list. 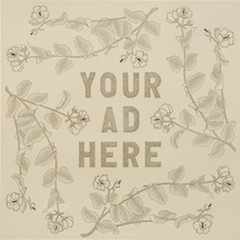 Just leave a comment or email me. i'm so dyahe, jen! i wasn't able to go with you. i realized kasi that paul has mastery tests next week. (i know kaka quarterly lang right? hay!) i hope naima's better na!